Mount Snow in W. Dover, Vermont, is also open, at least for weekends before the general opening Thanksgiving weekend. Located in the southwest part of the state, Mt. Snow is one of the easiest mountains to reach from Massachusetts and New York. They’re ready for your visit now, so why wait. Thanksgiving weekend is the unofficial opening of ski season in Vermont, but it looks like a number of resorts broke with tradition and opened the weekend before. They include Okemo, Stowe, and Sugarbush. 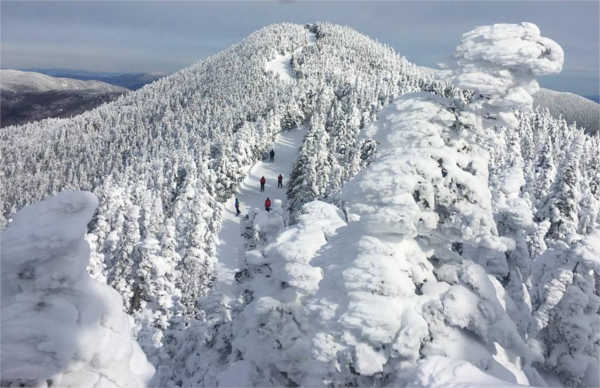 Jay Peak plans to open Thanksgiving weekend, Stratton the Wednesday before Thanksgiving, and Smugglers’ Notch and Bromley on the Friday after Thanksgiving. A few have openings in December including Burke Mountain and Magic Mountain on December 1, Bolton Valley on December 8, and Mad River Glen on December 15. Of course, those dates are just best guess. A lot depends upon how much natural snow falls between now and then. Check with resort directly before making plans. And that brings us back to where we started. With the first big snowstorm of the year and pleasant thoughts of a long, white winter of skiing and boarding in Vermont, plan your trip now. For suggestions on where to stay, consult Vermont.com’s lodging pages for solutions for every budget.